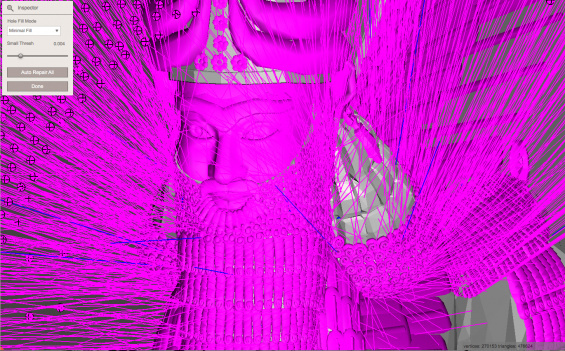 In the premiere of this performance-lecture, commissioned and presented by New Museum affiliate Rhizome, artist Morehshin Allahyari illuminates her concept of digital colonialism in relation to the technology of 3-D printing. Since 2016, Allahyari has advanced the concept of digital colonialism to characterize the tendency for information technologies to be deployed in ways that reproduce colonial power relations. This performance focuses on the 3-D scanner, which is widely used by archaeologists to capture detailed data about physical artifacts. Describing the device as “a tool of witchcraft and magic,” Allahyari reframes 3-D scanning as a performative, embodied act with open-ended political potential. Working with a selection of replicas of cultural artifacts from the Middle East, Allahyari will perform live 3-D scans while speaking about the objects’ long histories as symbols and relics and their recent appropriation in digital form by Western institutions, considering how these narratives intersect materially and poetically and how they may be resituated and rewritten. This event is presented in conjunction with the exhibition “The Art Happens Here: Net Art’s Archival Poetics,” which features works related to Allahyari’s series Material Speculation: ISIS (2015–16). Described by the artist as an exploration of the “petropolitical and poetic relationships between 3D Printing, Plastic, Oil, Technocapitalism, and Jihad,” the project centers around an effort to 3-D print replicas of twelve artifacts from the ancient cities of Hatra and Nineveh, which were destroyed by ISIS in 2015. Morehshin Allahyari received a grant as part of the 2019 Rhizome Commissions Program, which is supported by Jerome Foundation, the National Endowment for the Arts, the New York City Department of Cultural Affairs in partnership with the City Council, and the New York State Council on the Arts with the support of Governor Andrew M. Cuomo and the New York State Legislature. “The Art Happens Here: Net Art’s Archival Poetics” can be viewed here.